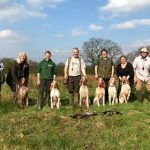 All types of gun dog training available for all breeds of gundogs (labradors, spaniels and specialising in HPRs) and general obedience for pets. Based in Preston, Lancashire and the North West area. 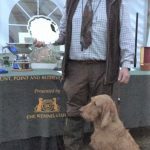 Ribble Valley Gundogs has a wide range of training grounds and facilities to suit all needs and stages of training. We are based near Preston just 5 minutes from the M6. 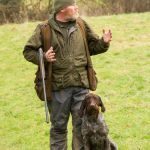 Our training grounds are in the heart of the Ribble Valley and include grouse moors, woodland, rivers, cover crops and a purpose build facility with retrieving lanes, jumps and a rabbit pen. One-to-one sessions and group training available. Occasionally trained or part trained dogs are available for sale.